I made this photograph on May11, 2012. 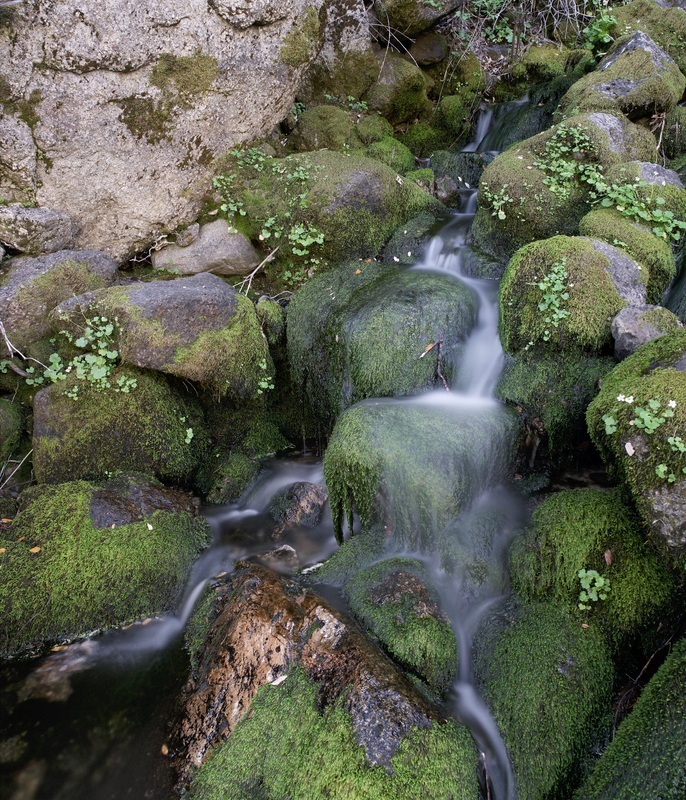 The location of this image is Tiltill Creek which is near Hetch Hetchy Reservoir in Yosemite National Park. One can reach this spot by hiking about 6 miles around the reservoir starting at O'Shaughnessy Dam, eventually reaching a bridge which crosses the creek. For this image I used 2 Samsung NX100 digital cameras mounted 3.5 inches apart on a device which allows me to rotate the cameras up or down and stitch 2 images together making a taller image. The exposures were 25 seconds at f8. The lenses were adjusted to the 35mm camera equivalent of 28mm. You can see the image in the format you prefer by clicking on one of the following: parallel, cross-eyed, or anaglyph (red/cyan glasses).